The caterpillars of this species are a pest, feeding on dry plant stems used in Thatch Roofs. The wings of the adult of this species are brown, with variable shading and pattern, often with a vague pale submarginal arc on each wing. 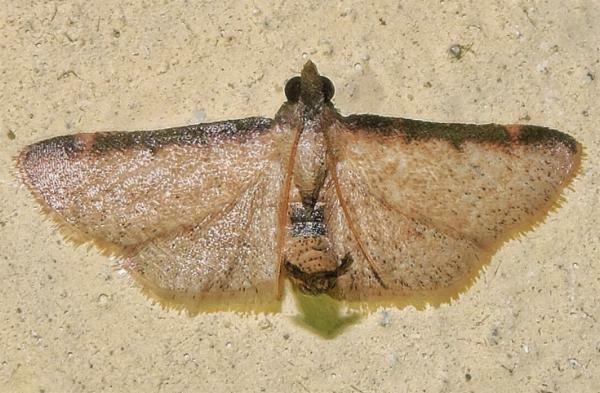 The female moths have a wingspan of about 2 cms. The males have a wingspan of about 1.5 cms. Volume 23 (1880), p. 199, and also Plate 6, fig. 4. Part 27 (1863), p. 125.